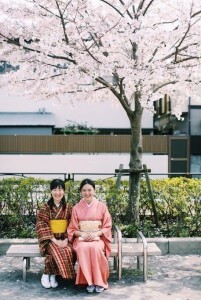 Your host Miss Yasuno (pictured on the left) enjoying the cherry blossom season. A stay at Miss Yasuno’s fully licensed Airbnb house in Yotsugi, Katsushika City (located at the east end of Tokyo Metropolis) will allow you to experience first-hand the true essence of omotenashi and, if you wish, authentic Japanese cooking. You’ll also be given the opportunity to deepen your understanding of the Japanese culture by wearing kimono and, if you have the time, Miss Yasuno’s father (who used to teach history at university level) is more than happy to share with you his knowledge of Japanese traditions and customs and his interpretation of the history of Japan. 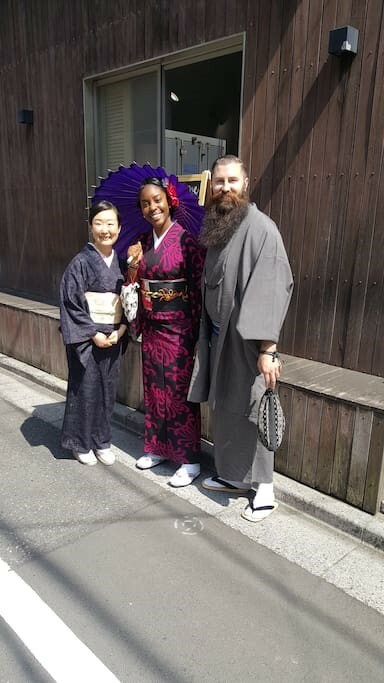 Miss Yasuno and her father speak excellent English so you don’t have to worry about any communication problems but try not to speak too fast. 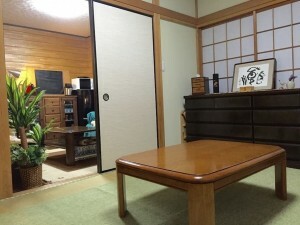 If you want to book this Airbnb home you can click here to go directly to the Airbnb website or you can contact Miss Yasuno’s father on Twitter @Tokyonobo. His tweets are really popular because he shares some fantastic photos of Tokyo and the surrounding area so he’s a great person to follow if you’re interested in Japan. 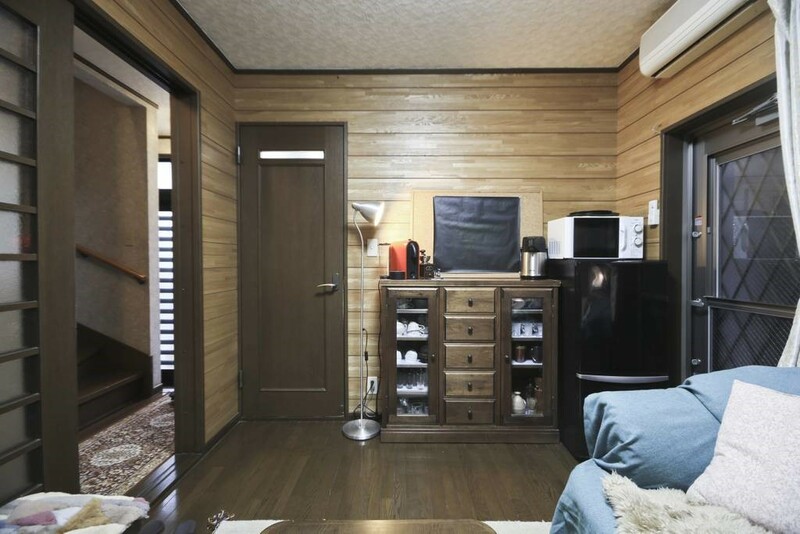 This spacious (by Japanese standards) but cosy home is perfect for one person, if you’re travelling with a couple of friends, or if you’re visiting Japan as a family with toddlers. 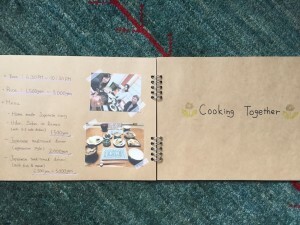 Ideally, there’s a maximum of three guests allowed but this is flexible. It only costs £55 (US$71) per night (plus minimal utility fees) to stay here and 87 people have given it a 5-star rating so you can’t beat that if you’re a family looking for an excellent but cheap place to stay! 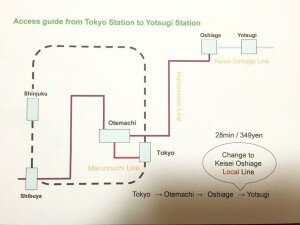 Furthermore, it’s only three stops from Oshiage Station (5-minutes by subway) and a 3-minute walk from Yotsugi Station. 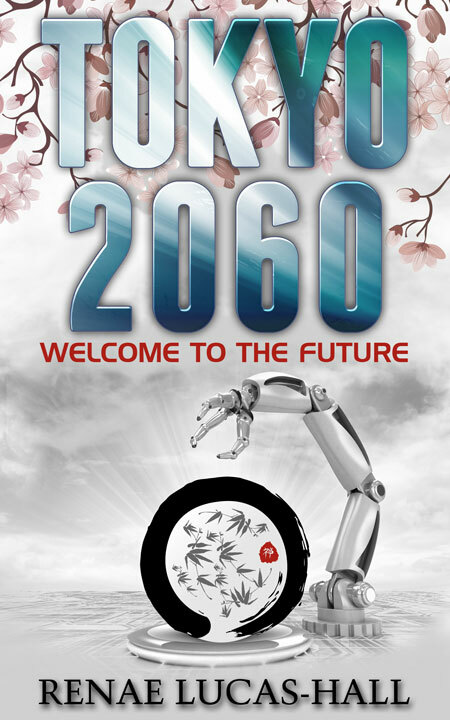 It won’t take you very long at all to get to most of the major areas in Tokyo such as Ueno, Asakusa, Tokyo Skytree and Akihabara. It also has direct access to both Narita and Haneda Airports. There’s also a 3-night minimum stay but you can cancel within 48 hours of booking and 14 days before check-in to get a full refund. You have private use of the house during the day because Miss Yasuno’s family own the house next door but Miss Yasuno will sleep in a room on the floor above you at night. Amenities include wireless internet, split-system air-conditioning, central heating radiators and fans, a TV, a refrigerator, a microwave, a coffee machine, an electric kettle, dishes, glasses and cutlery, a washing machine and a dryer, an iron, a hairdryer, and eco-friendly shampoo and body soap. As you can see in the photos below this Airbnb house is very inviting and spotlessly clean. 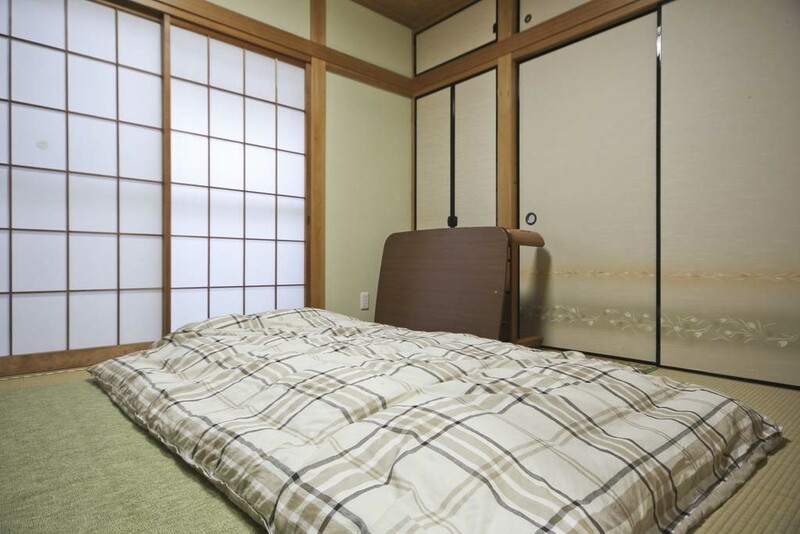 You can enjoy a good night’s sleep on three large Japanese-style futon beds on traditional tatami flooring. 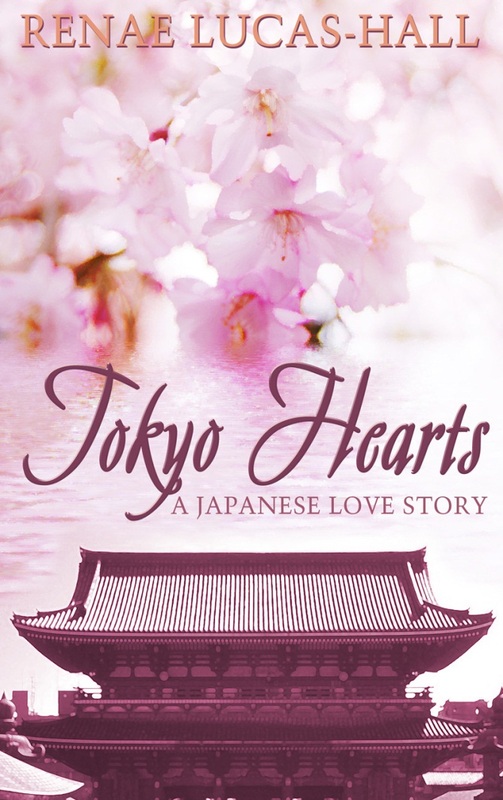 Futons, pillows and blankets are all supplied by Miss Yasuno and she’ll teach you how to lay out the Japanese futon bedding when you arrive. 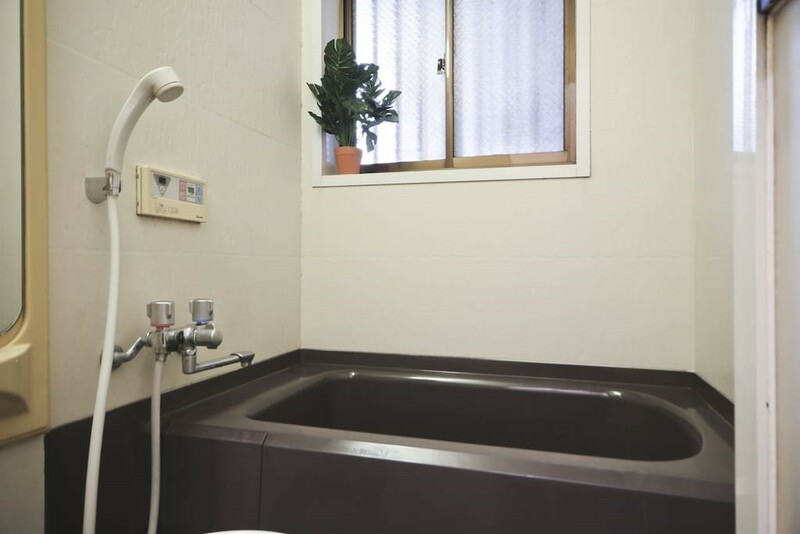 Sit back and relax in this Japanese-style deep soaking bath after a long day exploring Tokyo! Miss Yasuno is an excellent cook so if you want to learn how to make some Japanese meals while you’re staying at her home you can arrange to do this with her. 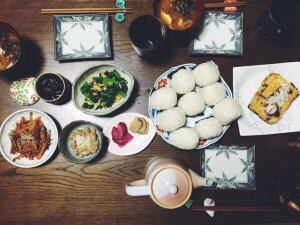 You can make Japanese onigiri rice balls together for just 500 yen, you can cook a traditional Japanese breakfast with dishes you’re interested in trying for 500-1,000 yen, or you can have Japanese curry or noodles for dinner for 1,500 yen. 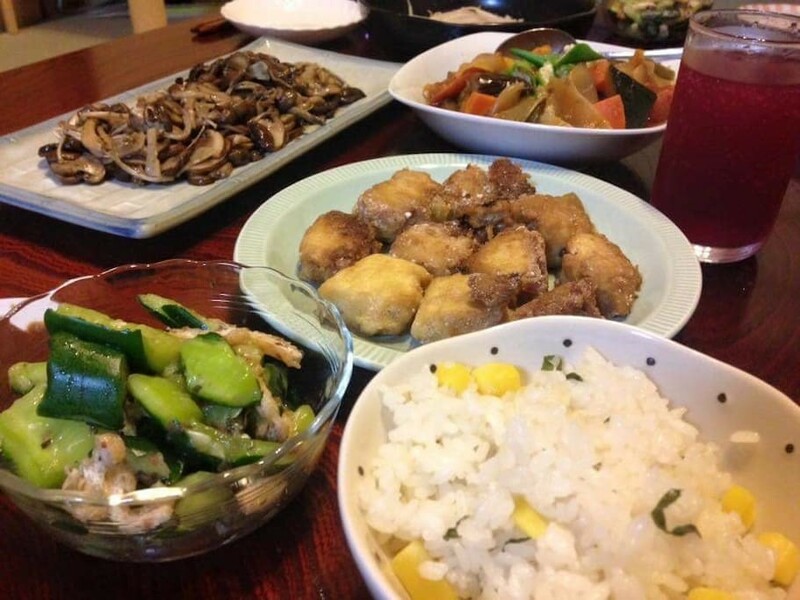 If you want to try making something more traditional and elaborate that includes fish and meat (a vegan option is also available) you can cook this with Miss Yasuno for only 2-3,000 yen! 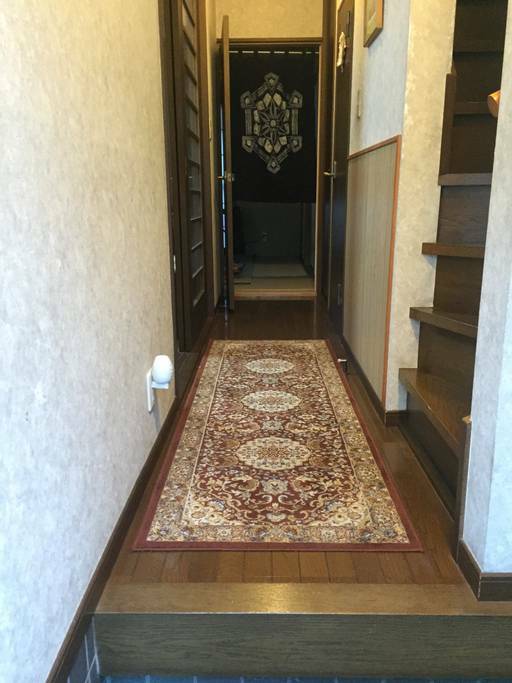 This Airbnb home is in a very convenient location and it’s close to all the major attractions in Tokyo! 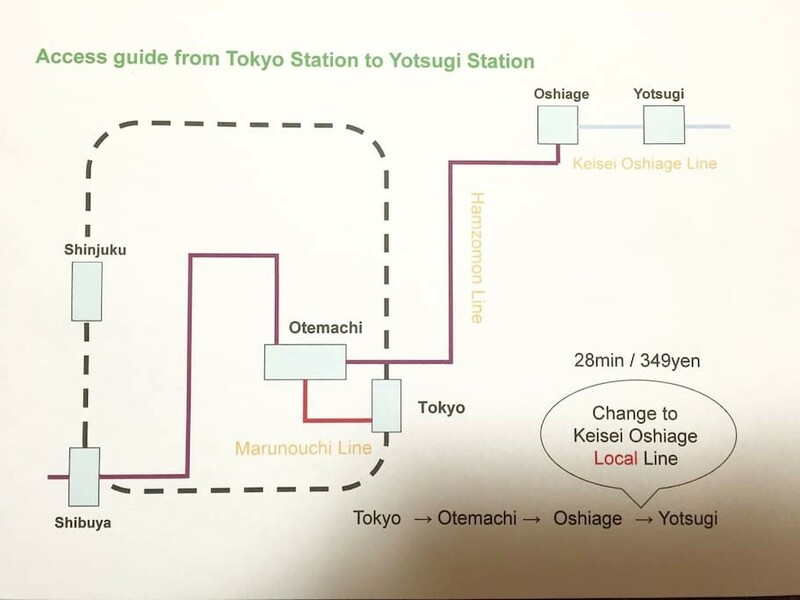 You can find the nearest train station to Miss Yasuno’s house very easily if you follow the directions on this map below. 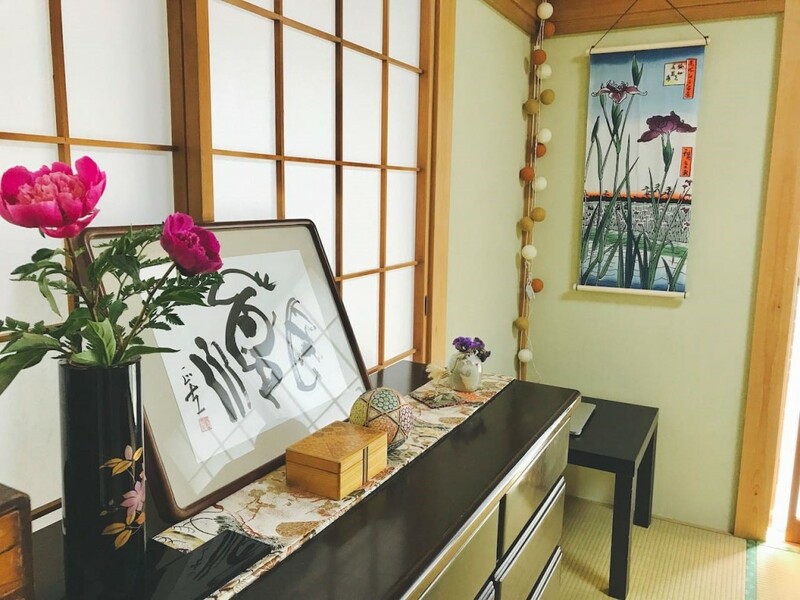 When you’re staying at this Airbnb home you can ask Miss Yasuno for an easy-to-read walking map which will help you find the best shops and restaurants in the area. 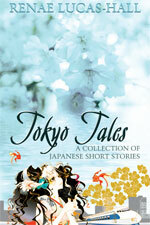 Miss Yasuno has 40 beautiful kimonos and some of them are too big for her to wear. 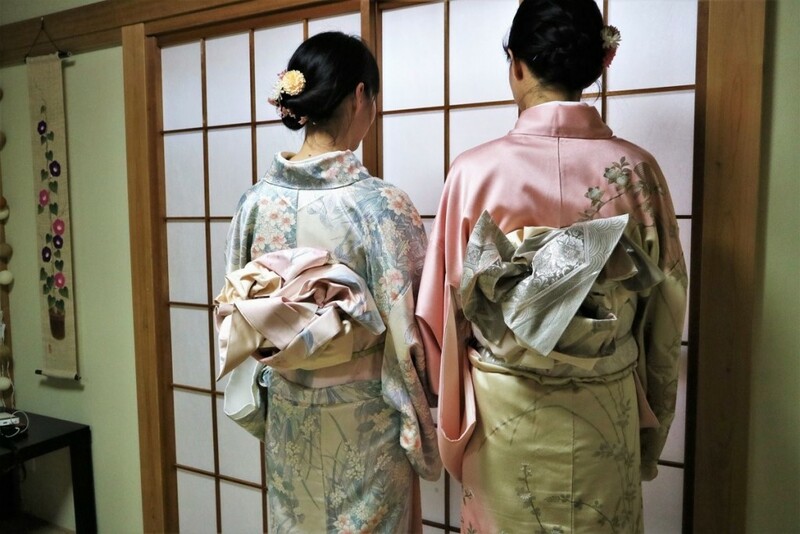 Enjoy trying on one of these kimonos with Miss Yasuno’s help then find an idyllic location to have your picture taken! 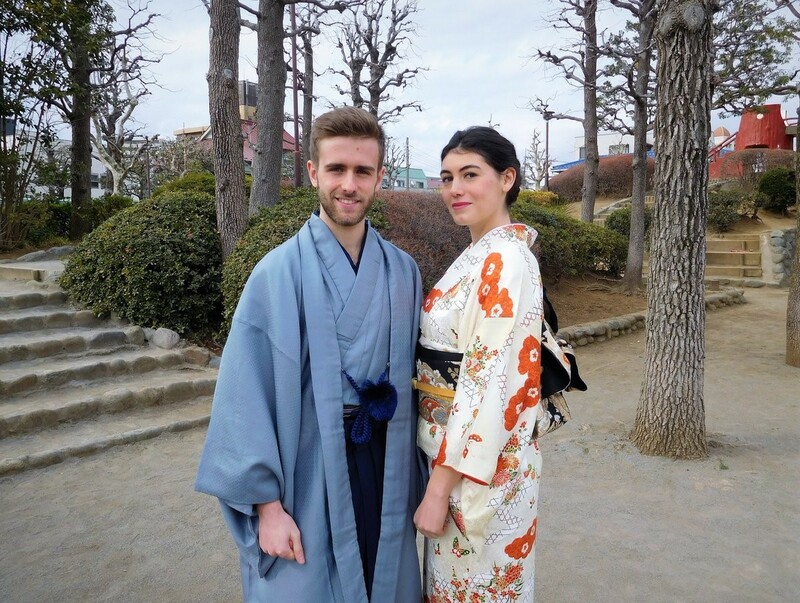 There are several temples and shrines in the nearby vicinity if you’re looking for a more traditional backdrop. 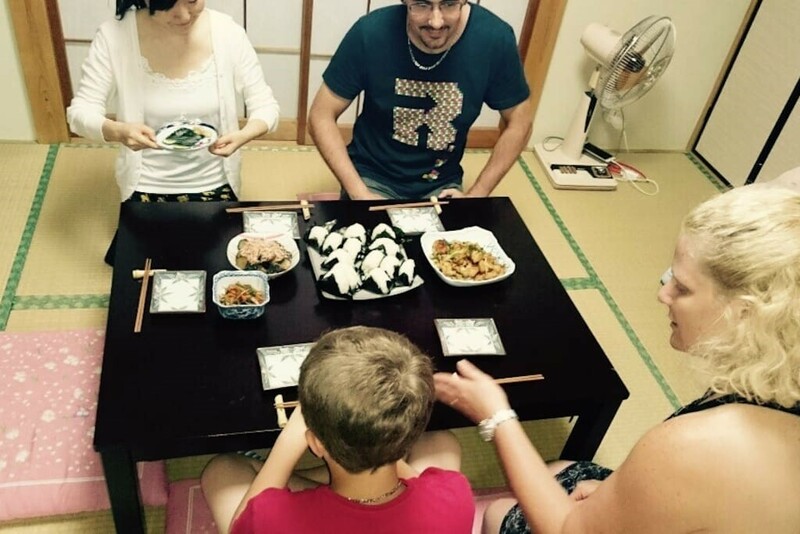 While you’re having your picture taken Miss Yasuno will prepare lunch or a short Japanese tea ceremony for you to enjoy when you return. 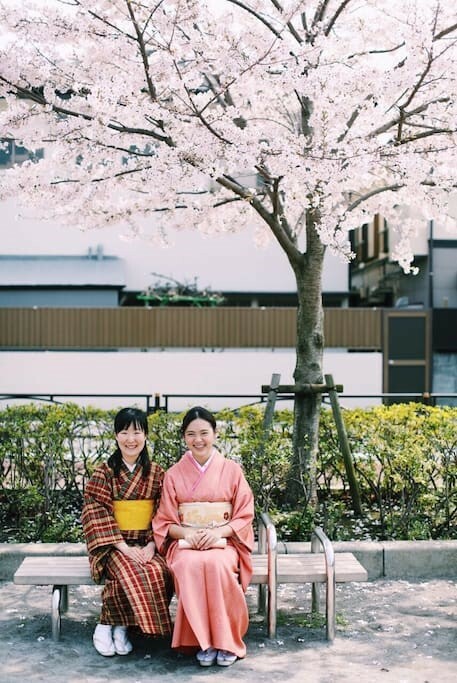 Miss Yasuno took lessons in the art of Japanese tea ceremony for more than five years and she worked at a high-class traditional restaurant for two years wearing a kimono. She’s an expert at dressing in kimono and she’ll happily share with you her knowledge of the history of the kimono and the meaning behind its design. You’ll also learn how to pose for photos in a stylish, comfortable and graceful manner. 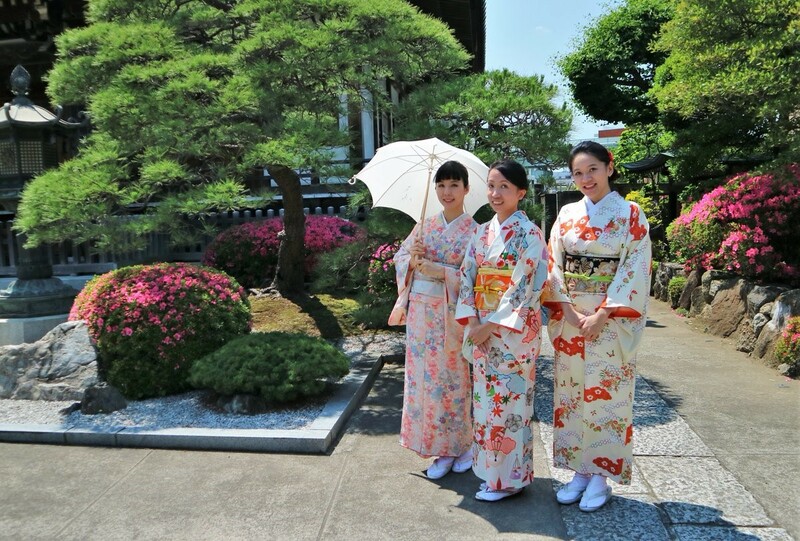 The cost is 10,000 yen and this includes kimono rental, a photo shoot and lunch. Guests who stay at this Airbnb home get a slight discount. 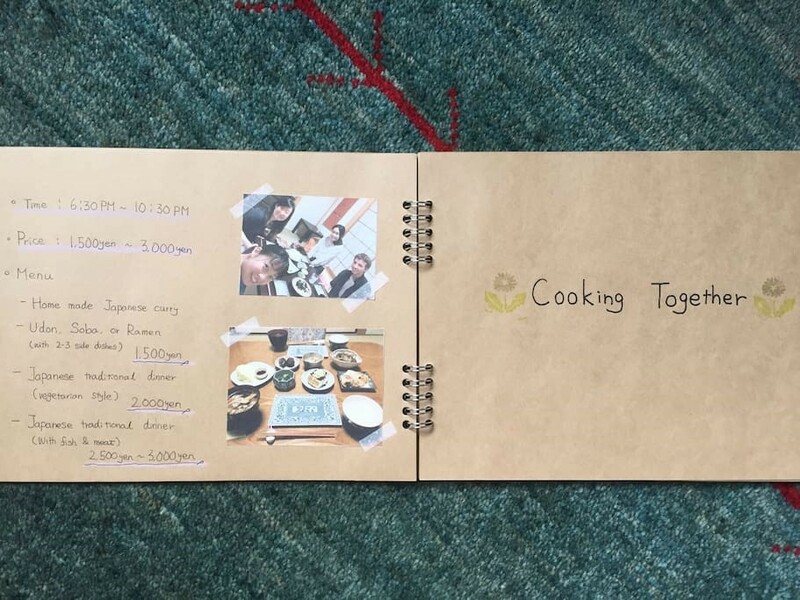 Now you know where to stay in Tokyo if you want to combine budget accommodation with culture, cooking and omotenashi in Japan! 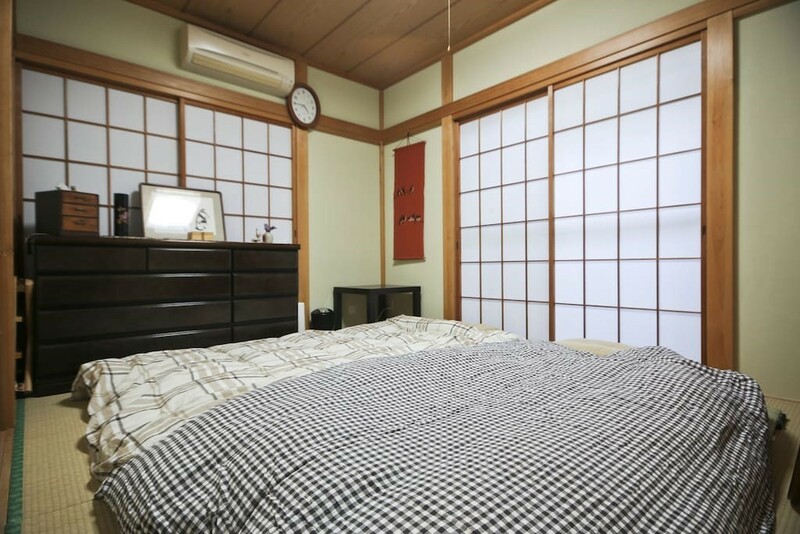 This 5-star Airbnb home is perfect for anyone who is interested in a truly authentic Japanese experience.